This dry white wine is carefully composed and has an attractive pale gold colour. Its complex and fruity aromas combined with its roundness and richness on the palate mean that this can be enjoyed on its own an accompaniment to a wide variety of dishes. Wine of France. Crisp & delicate. 3 bottle box. Sauvignon Blanc is a typically French grape variety that is the origin of many great white wines. 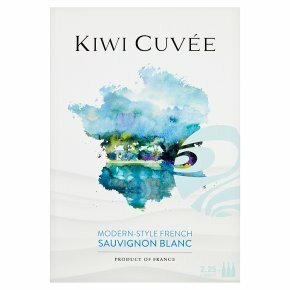 This dry white wines is carefully composed and has an attractive pale gold colour. Its complex and fruity aromas combined with its roundness and richness on the palate mean that this can be enjoyed on its own as an accompaniment to a wide variety of dishes. It is at its best now and should be served chilled, between 10 and 12°C. Easy to Open 1 Break and lift perforated flap. Tear off circular portion. 2 Pull neck of the tap out. Put into cut out and lift refit the flap. 3 Tear off the tamper-proof seal. 4 Pour by holding up the winged piston.